Released on 26th April 1980, this was The Beat's third single release from their debut album I Just Can't Stop It, and reached #4 in 1980. The Ska/2 Tone song was the British band's third consecutive top ten hit in Great Britain, and became their highest charting single, until Can't Get Used To Losing You reached #3 in 1983. The final song to be released from their debut album was Best Friend which was released as a double-A side with Stand Down Margaret, reaching #22 in 1980. The video starts in a very literal way inside a nightclub washroom with a row of sinks with mirrors above each one. Throughout the video, we see different band members looking into mirrors in various locations, including a supermarket and a busy high street (I believe this was outside C&A in Corporation Street), but mostly in the bathroom of the now demolished Rum Runners nightclub in Broad Street, Birmingham. This is interlaced with footage of the band performing on a the stage of the nightclub, although there is no audience. The single was the first to be recorded digitally in the UK. It was also recorded for the 1987 romantic thriller movie Someone To Watch Over Me (which was directed by Ridley Scott) by a project called Fifi. 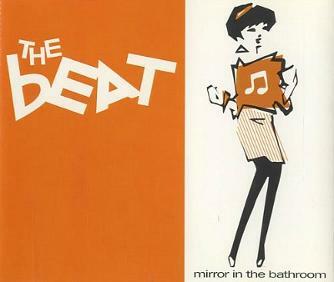 In 1995, the track was re-released as four remixes on an EP (on CD) to help promote their compilation album The Very Best of The Beat. The EP reached #44 in the UK and included Sure is Pure remix, Tic Tac Toe remix, Simon and Diamond remix and Adelphi remix.